As I write this we await a visit from Chris and Hilary Makepeace. 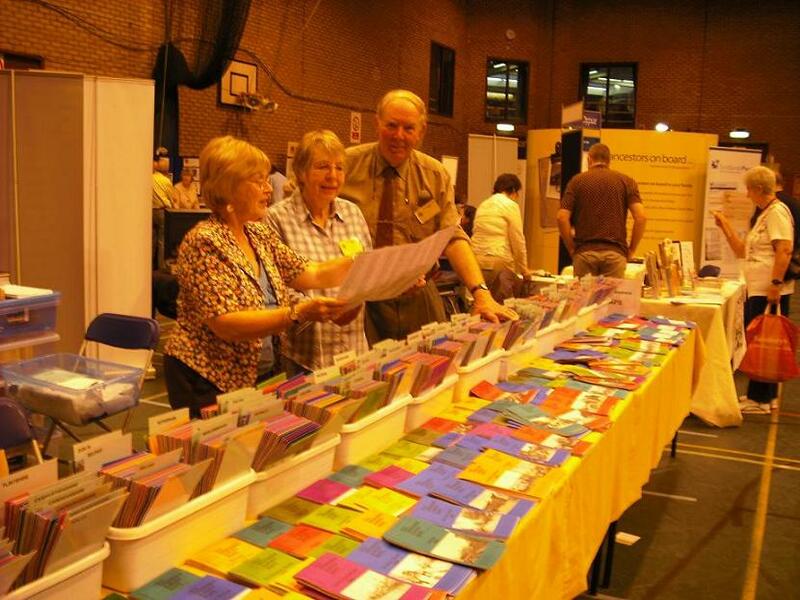 Chris, of course, is one of our regular authors for maps around Manchester and Stockport, but he also hosts stalls carrying very wide ranges of our maps at various history fairs around northern and central England. This Saturday 16th May he will have a stand at the History Belongs to You history fair at County Hall, Durham, and will have virtually all our maps on display. No bookshops carry such a wide range as he does, and probably none match his enthusiasm. I shall be popping in to buy him lunch, and my colleague Suzanne Doherty will be at the stall during the morning to answer any queries. Chris will also be having a stand with a good selection of our maps at the Shropshire Family History Fair in Shrewsbury on June 6th. Hopefully some societies will also be selling our maps at these and other events. We enjoy a good relationship with many such societies and had an enjoyable afternoon last Tuesday when a party of 17 from the Annfield Plain Family History Society visited us for a tour round the office and a demonstration of our camera, followed by tea and cakes. If any other societies would be interested in visiting us, do please contact us. A relatively new author to our team is Chris Docherty, who has written the introduction to recent maps for Isleworth 1935, Kensington (Royal Albert Hall) 1872 and (due out around the end of this month) St James's & Buckingham Palace 1869. Chris is a Blue Badge Guide and we are looking at the possibility of her hosting some 'Explore a Map' walks. Apart from these three maps, a walk round Surrey sheet 12.13 Hampton Court & East Molesey 1912 is one we are looking at and Chris and I made a 'test walk' around it last year, concentrating on the East Molesey side but ending with tea in Hampton Court's cafe. We would like to take this idea further and hopefully I or another author would also join Chris so that the walks would be convivial occasions. If you would be interested, do please contact us so that we can gauge the likely response. I myself have just spent an enjoyable long weekend in London when I managed to enjoy lots of opera (though I need to sell a lot of maps to meet Covent Garden's prices), enjoy drinks with two of our authors, and perambulate two future maps, for Brentford and Willesden; the former, in particular, was especially fascinating and I plan to write the notes for it this Sunday. 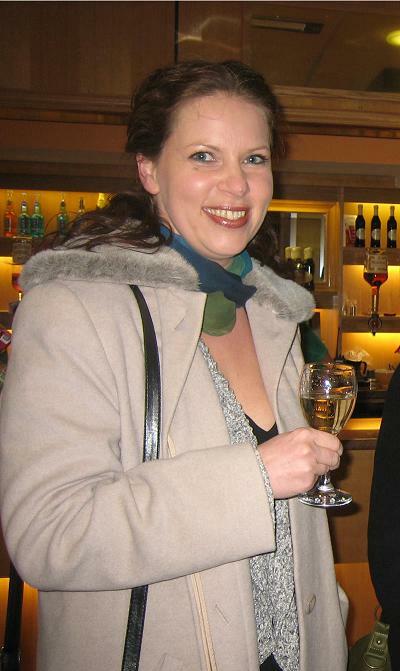 Finally, I would like to introduce the newest member of our office team, Heike Hamilton, who joined us in February. Heike works just a few hours week, normally Wednesdays, but brings the great benefit of a native German speaker to our team.We have therefore been able to improve the German pages on our website and German shops/customers who contact us now have a good chance of hearing - by phone or email - from someone who speaks the language fluently, rather than having to put up with my clumsy attempts at the language. Our translator Ellen Stramplat, when asked why she always speaks English to me, remarked simply that my German "Would do her head in." Heike also helps with the usual office duties so on Wednesdays you may well encounter a disticntly non-Geordie accent; and in a couple of weeks she will encounter the joys of stock-taking! Follow this link to the April and March Newsletters.